Metal Roof Panel Machine is for produce metal roofing sheets, roof decks, roof panels as desired drawings and thickness. As a Roll Forming Machine Expert. Believe Industry Company have a full range of roll forming machine for roof panels. Such as: IBR Sheet Machine, Corrugated Panel Machine, Bemo Sheet Machine, Box Profile Machine, etc. Bemo Sheet Roll Forming Machine is for produce Bemo Sheets with various width and multiple shapes. Which is one kind of Standing Seam Sheets, was developed by BEMO company. The Bemo Sheet Standing Seam Profile can realise almost all building shaper of modern architecture. 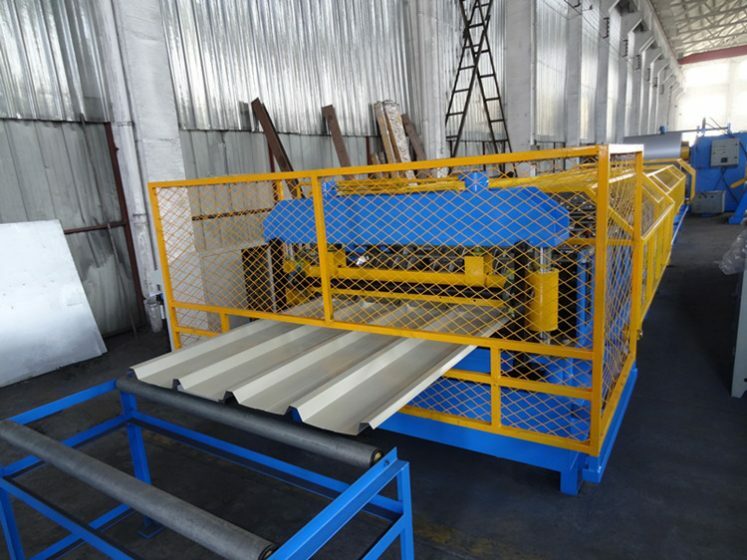 Metal Roof Tile Roll Forming Machine is for producing the metal tiles which is similar to traditional tiles. While the quality and life is better. Roof Tiles are to keep out rain. And traditional made from locally available materials such as slate and terracotta. And modern materials such as concrete, plastic and Metals. Metal Tile is very special and consist of a high percentage of recycled material and is 100% recyclable. Contact Believe Industry for more information about metal roof panel roll forming machine and related machines.